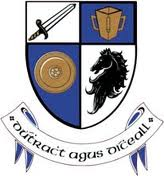 Monaghan County Council gives notice of Intention to close the LS-6014-0 bridge road from Monday 20th August 2018 to Sunday 23rd September 2018 to facilitate the replacement of the existing culvert and all related site works on the bridge at Kibberidog townland, Ballinode, in the Municipal District of Ballybay – Clones in County Monaghan. Diversions will be in place for the duration of the works. The bridge is located on the road which links Ballinode village and “Hamilton’s Cross”. Traffic wishing to proceed onto the LS-6014-0-0, will be diverted by remaining on the LP-2010-0 (Ballinode to Scotstown Road), then turning left onto the LS-6020-0 (Hollywood Road) and turn left onto the LS-6014-0. All Detours will be signposted in order to direct the Traffic. (Local Access and Emergency Vehicles will be catered for at all times). Any interested person may lodge an objection to the closing of the above-mentioned road with the Head of Roads, Monaghan County Council, MTEK II Building, Knockaconny, Monaghan not later than Tuesday 7th August 2018. Any objections must be clearly marked on envelope“Objection To Road Closure”. If you have any queries concerning this Road Closure please contact The Municipal District of Ballybay-ClonesMonaghan Street, Clones, Co. Monaghan at (047) 51018 or emailclones@monaghancoco.ie, alternatively contact the Roads Section, Mtek 2, Knockaconny, Monaghan at 047 30597 or email roads@monaghancoco.ie. In April 2018, funding of €54,000 was granted under the Minor Works scheme to upgrade the existing stone masonry bridge & 450mm pipe to new 1500mm x 1500mm box culvert at the site.